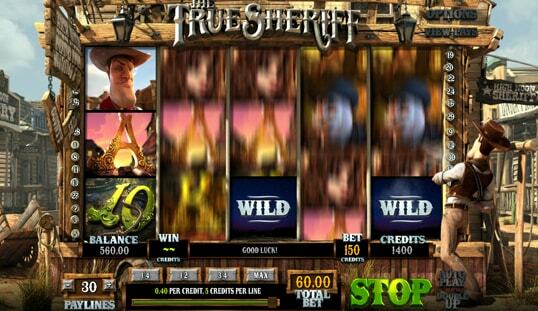 Push your luck to win more prizes and rewards every time you play The True Sheriff with Bitcoin. 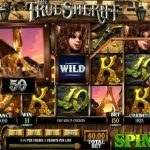 Enjoy the visual treat and gameplay with this slot. Brave the desert and enter the Western world to claim your prizes and rewards. You may be challenged by some cowboys and outlaws, but never ever give up. 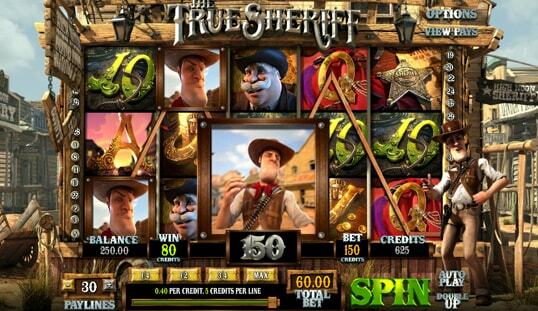 Spin the reels of The True Sheriff slot and be amazed by how lucky you can be in the Old West town of High Noon. With a mission to protect the riches of the saloon, you had better wear the leather cowboy boots and hat. Check out how this Betsoft slot game will keep you wanting for more. Moreover, this game will not be as attractive as it already is without the spot-on music and effects. Thanks to these sounds, you actually feel like you are in the West. There are 30 lines that can be activated—a high number of pay lines that can promise better results. Nine regular symbols are also present in this game, along with special symbols that make the gameplay more interactive and rewarding. 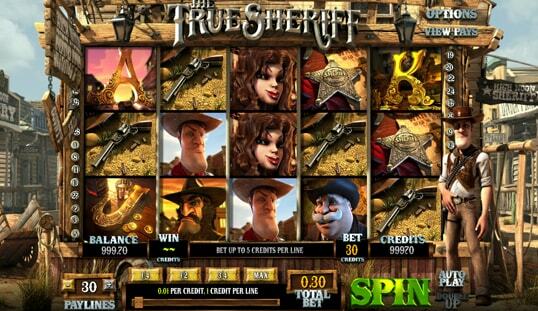 The pay table is accessible, and it displays every detail you will ever need to understand how to play this slot. Not that its gameplay is complicated, but The True Sheriff slot is simply filled with lots of perks. 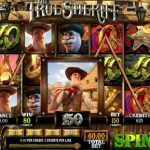 Expect to find a Bonus round, a Double up feature, and a Free spins mode. The Bonus or Showdown round is activated when the Gun symbol appears in between the Sheriff and the Bad guy symbols consecutively on active lines on the first, second, and third reels. You will play a Heads or Tails game that lets you win more prizes. 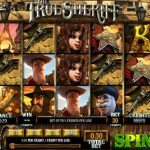 The Double Up or Saloon Card game, on the other hand, allows you multiply your line wins by two, and the Free Spins mode grants 10 to 15 free spins and an instant Scatter payout. 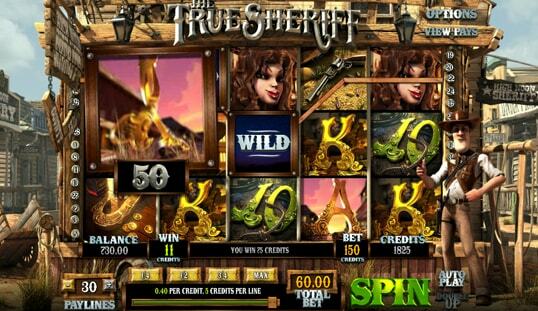 Apart from it being a Betsoft slot, this game is filled with excellent game features and top-notch graphics that are the premium recipes for an outstanding online slot betting. 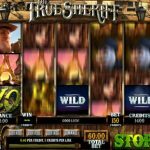 Play The True Sheriff with Bitcoin on BitCasino.io, Betcoin.ag, and BetChain Casino to experience a one-of-a-kind game that is guaranteed to appeal to all kinds of players worldwide.